This activity is a great test of nerve! Once you've been fitted with your harness and helmet, we'll get you started with low-level challenges such as the crate stack. 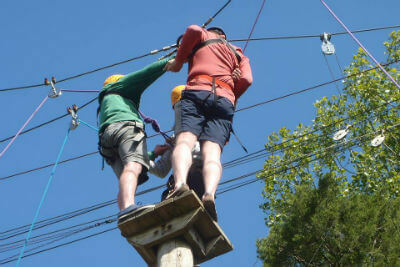 As you confidence builds we'll increase the challenge - and the adrenaline rush you'll experience! The trapeze and high all aboard are just a few of the elements that your instructor will guide you through. 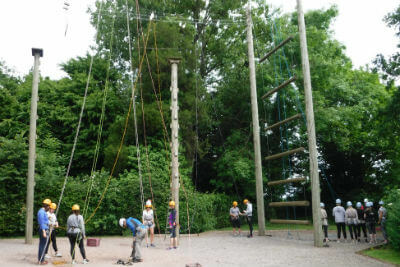 All abilities – head for heights helps!